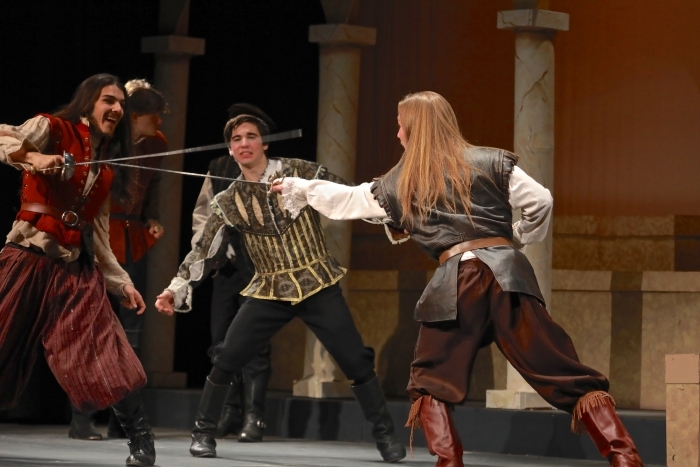 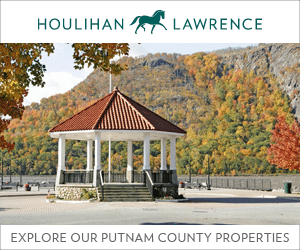 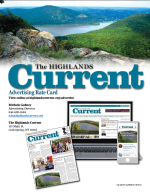 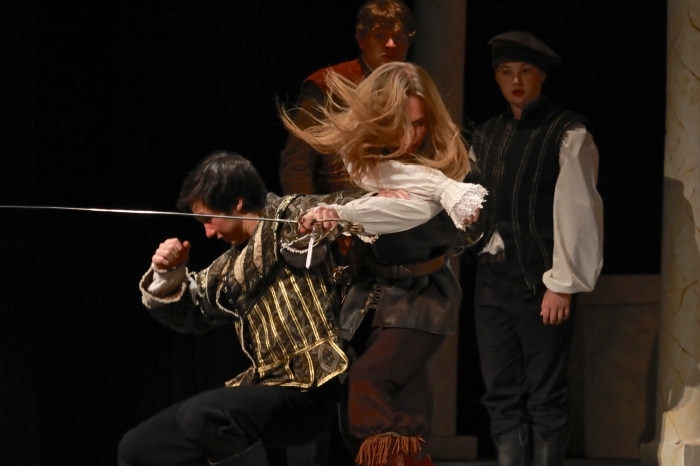 The Haldane Drama presented two performances of Romeo and Juliet this past weekend (Dec. 8 and 9) that included a swordfight in Act III choreographed with assistance from Susana Montoya Quinchia of the Hudson Valley Shakespeare Festival. 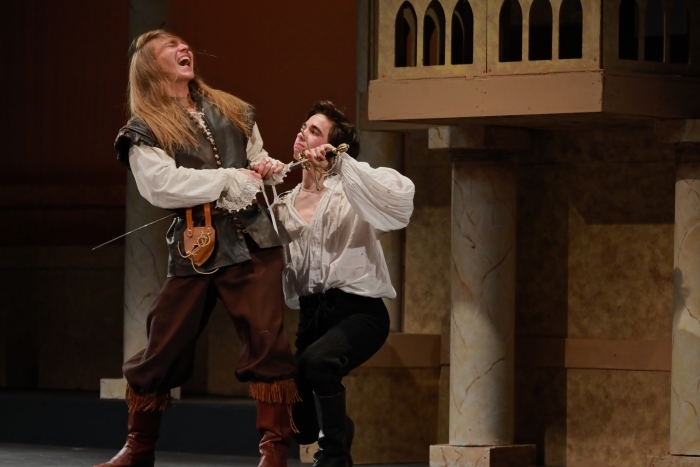 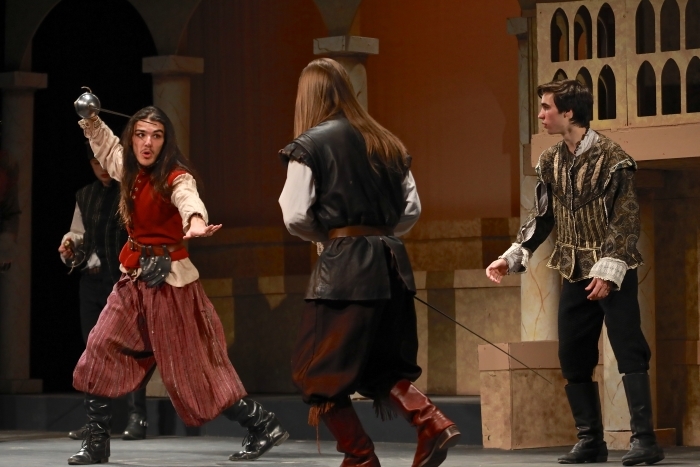 Here, Romeo’s best friend, Mercutio (played by Quinn Petkus, in red), battles with Tybalt (played by William Speziale), who had come looking for Romeo (Justin Roffman) but is goaded by Mercutio. 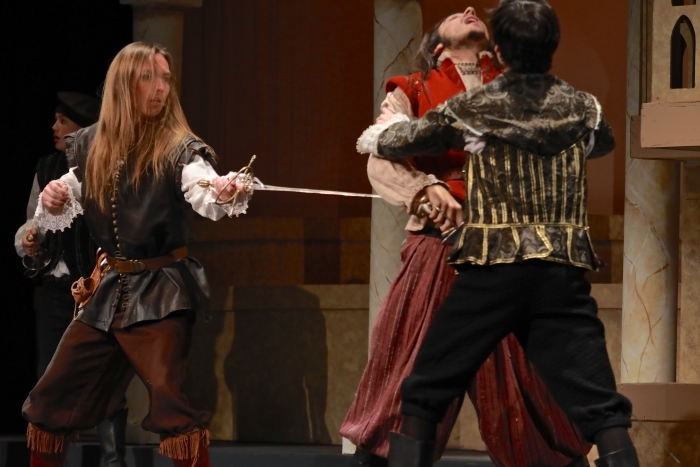 Romeo attempts to step between the men to play peacemaker but Tybalt stabs Mercutio, who dies in Romeo’s arms. 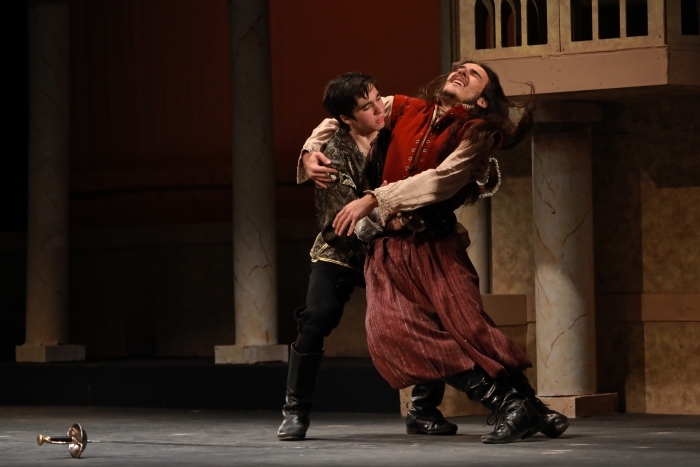 Enraged, Romeo kills Tybalt, who is Juliet’s cousin, and he is banished.